When it comes to clean and quiet neighborhoods, you don’t get much cleaner and quieter than Gramercy Park. Being the only private park in the city makes Gramercy Park well taken care of. The leafy park defines the neighborhood and stands out as its most known trait. We can clearly understand why you would like to move here, and we are here to help you. When moving to Gramercy Park you should look for Gramercy Park movers, and if you value quality and efficiency, you’ve come to the right place. Even though it is a relatively small community, Gramercy Park is full of history and culture for you to enjoy. The oldest surviving co-op building that had the last hydraulic elevator in the city is located in Gramercy Park. The National Arts Club located in Gramercy Park south was the city’s first private club to admit women on the equal basis as men (in 1898). Buildings such as these are spread all over Gramercy park, so you will feel like you are walking to history. With such location and hight safety standard it’s no wonder that Gramercy Park is considered one of the best NYC neighborhoods for families. With a little investigation, you can find out just how culturally rich your future neighborhood is. Manhattan is a great place to live in. Homey and welcoming are the traits that you would give to residents of Gramercy Park. They like their community, and if you start living here you will too. The small scale of the area makes everyone stay together and take care of each other. Once you start talking to your neighbors you will soon meet their friends, and before you know it you will be familiar with the whole neighborhood. The great thing about Gramercy Park is that it allows its residents to escape from the rush and the noise of Manhattan while still living in Manhattan. Being an urban oasis gives Gramercy Park the luxury of feeling quiet and relaxed while being situated in the business jungle that is Manhattan. All of Gramercy Park residents love their neighborhood because it gives them the best of both worlds. 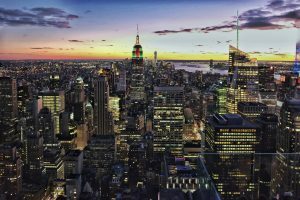 If you want to move to Gramercy Park you need to hire affordable moving experts NYC. Finding the right ones is never easy, especially if you want your things to be taken proper care of. Here is how to start looking for movers, and why we are confident you will come to us. In any line of business and industry, quality and efficiency are the most important traits. Moving is no different. Whether you are hiring long distance movers NYC or short distance Gramercy Park movers, low-quality movers will mishandle your possessions and take unnecessary time to relocate them. With us, you can rest assured that all of your things will be taken proper care of. We regard peoples personal items as an extension of themselves, and treat them with the respect and care that they deserve. When getting an estimate, consider talking to at least three different moving companies. 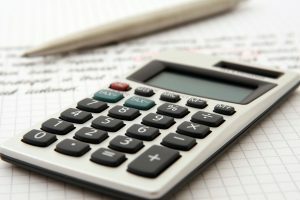 Buy averaging multitude of estimates you can get a clear idea on how much you will need to pay to relocate your things. If an estimate is too low, be careful. Scams are known to happen in the moving industry, and you should try to avoid them as much as you can. If something looks too good to be true, it probably is. Getting multiple estimates from Gramercy Park movers gives you a better idea on how much your move will cost. When is the best time to move? 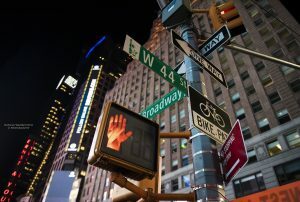 What streets should you take to avoid traffic? You do not know these things, but we do. 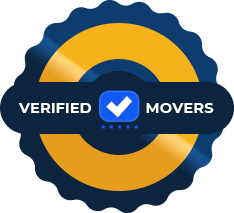 Hiring local Gramercy Park movers will give you the advantage of knowing all the things that the non-local companies simply cannot know. If you want efficiency you will hire locally and if you want quality on top of that you will hire us. Packing – You want your packing done by people who know what they are doing. Bad packing risks mishandling and damaging of your things. Especially if you have fragile items to transport. Our representative will help you sort your items and give you any needed advice. With hiring us you are making sure that all of your possessions will be safely packed, loaded and unloaded with no risk of damaging or breaking. Moving – Moving is the quintessential part of transporting your items. Our professional movers will transport your possessions efficiently and safely. Time is money, and we value yours so you can be sure that things will be done in the quickest time possible without risk of mishandling. For moving you always want to hire locally, since some paths are only known to the locals. Loading and unloading – With improper loading and unloading you risk, not only damaging your possessions but hurting yourself. If you are not used to carrying heavy objects and manipulating them in tight spaces, we recommend leaving that to us. With skilled professionals and proper equipment, we will make sure that everything is properly loaded into our trucks and later unloaded into your new residence. There is no one better suited for handling your boxes and items than the people who packed them. Take care of yourself. As we mentioned, moving is stressful and stress can take a big toll on your body if not taken care of. If you can afford it, let professionals help you as much as possible. The times and the nerves saved by having professional help will be well worth the money spent. When you move with us we consider you a part of the team, and we like our team members to be healthy and happy.